Sarongs wholesale from Bali Indonesia. 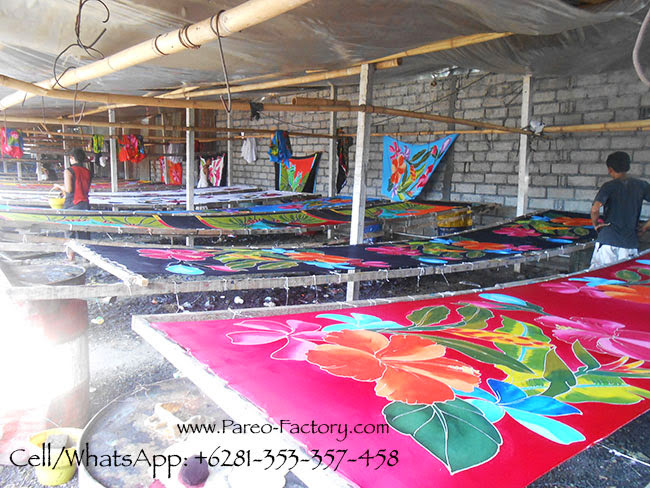 Sarongs factory in Bali. Manufacturer and exporter of rayon fabric sarongs hand painted motifs. These are example of our stamp sarongs. Handmade in Indonesia using hotwax and copper stamp, which is the reason why these sarongs are called stamp sarongs. We have many of them. Mostly abstract motifs. Wide variate of colors. Made to order but ready stock also available. 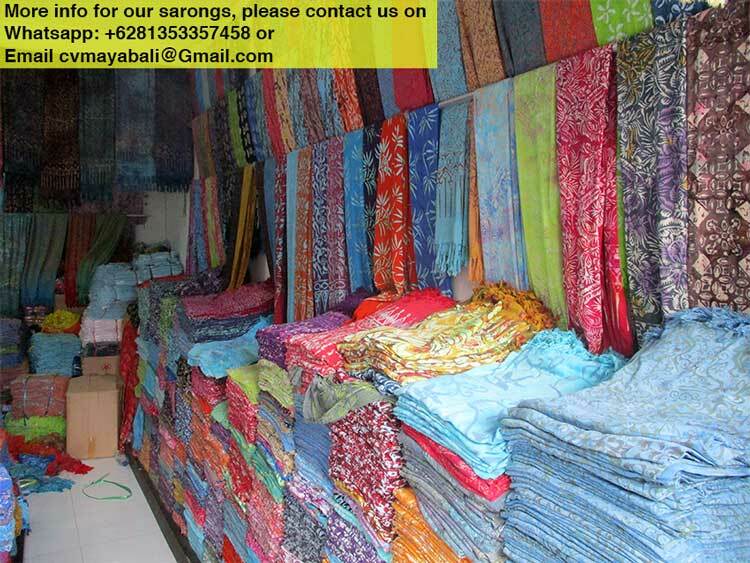 Contact us for more information regarding our sarongs. We have wide range of colors and motifs. More are shown on picture below. Sarongs Factory in Bali Indonesia. 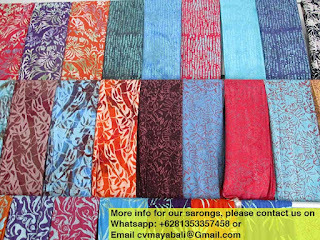 Batik Sarongs Wholesale. 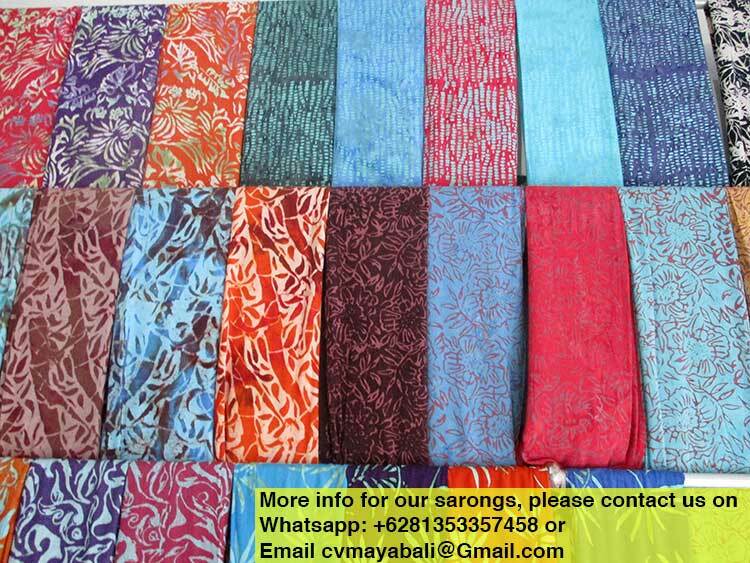 Sarong Bali Pareo Wholesale. Simple theme. Powered by Blogger.